“Eating well is becoming easier on the road as more places are health conscious. Gyms are easy to find anywhere there’s electricity and traffic. “Time is the hard part. I do my best and I learned a long time ago that without recuperative sleep, good nutrition and constant exercise, this high stress lifestyle of traveling, etc. quickly takes a toll. From my article Taking Care of Your Creative Self. 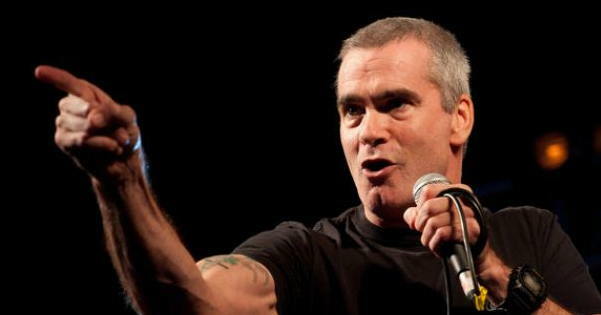 Henry Rollins is a musician, writer, journalist, publisher, actor, radio host, comedian, and activist (Wikipedia). Read about more multitalented creators like Jessica Lange, Gordon Parks, Julia Cameron, Bryce Dallas Howard, Jamie Lee Curtis, Jane Seymour, Natalie Portman, James Franco, Mayim Bialik, Jeff Bridges, Viggo Mortensen, David Lynch and others in article: Multitalented Creative People – an excerpt from my main book. Katy Perry is another performer who reportedly is health conscious in her diet – at least mostly: note the last item: wine. From my article Motherhood and creative work. If you are a mother who is also pursuing creative passions or developing a business, it can be a challenge to find time and ways to care for yourself, and you can push yourself too far, into depletion. Family therapist Sarah Chana Radcliffe talks about a number of techniques for stress management and personal growth including Tapping or Emotional Freedom Techniques (EFT), and Holosync audio CDs – a program I use regularly, and find very helpful for relaxation. 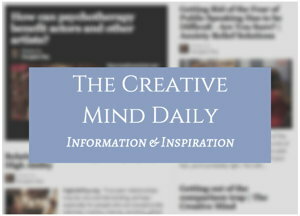 Read more in my article: Psychotherapist Sarah Chana Radcliffe on technologies for growth. This “What-if-you-chose” image is from one of the programs by Lisa Grace Byrne of WellGrounded Life, a Holistic Health Counselor, mother and author. In her book Replenish: Experience Radiant Calm and True Vitality in Your Everyday Life, she writes, “I don’t want the badge of living off fumes any longer…I wanted to live from a full and replenished well. I wanted motherhood not martyrdom…I decided I was going to define for myself what I really wanted out of life. Byrne also hosts “The M.A.P.P. Gathering” free series of “intimate conversations with nine exceptional women around the topics of motherhood, ambition, passion and purpose: Brene Brown, Jennifer Louden, Renee Trudeau, Dr. Sara Gottfried, Pamela Slim, Jill Savage, Kelly Rae Roberts, Andrea Scher and Tsh Oxenreider. Aren’t health and vitality essential to us for living well in general, but particularly to support being an extraordinary creator? 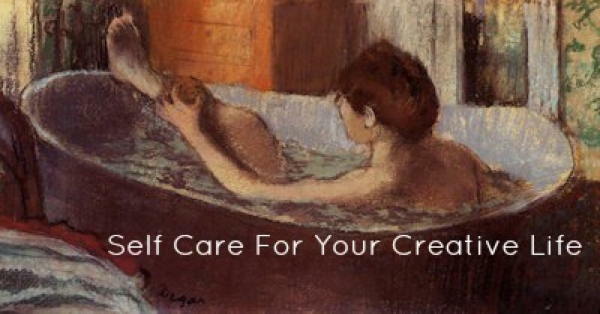 Why bother with self care? Aren’t we busy enough just trying to keep up with complex lives and be creative and successful? Taking steps to stay replenished with energy and positive attitude helps keep us healthy and productively creative. Read quotes, excerpts from articles, and information about programs on this resource page.